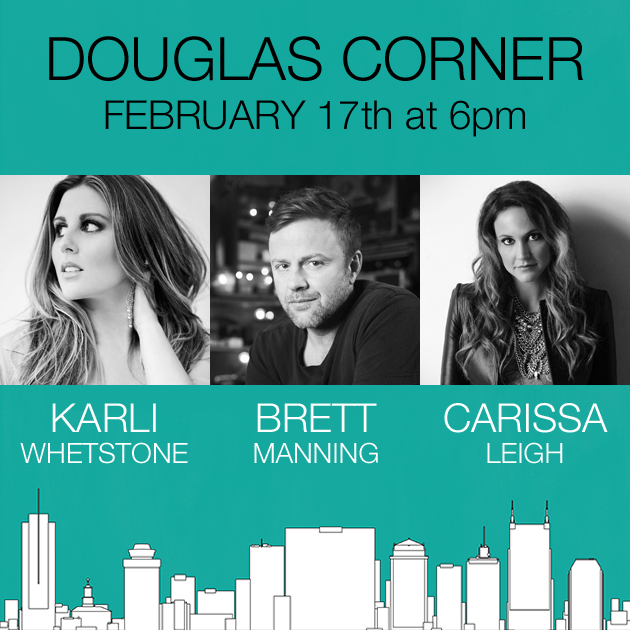 News KARLI LIVE @ DOUGLAS CORNER CAFE! Join Brett Manning, Carissa Leigh and Karli Whetstone for an incredible night of music at Douglas Corner Cafe Wednesday, February 17th at 6pm! You won’t want to miss these vocal powerhouses in their first ever show together. Doors open at 5:45pm! See you there!